This is an application for revocable license to use Vendor Space at the Monroe Avenue Festival, to be held Sunday, August 19, 2018. Incomplete agreements or agreements submitted without appropriate vendor fees OR proof of liability insurance will not be accepted for processing. If your application is not approved or all available spaces are leased, your fee will be refunded. No refunds will be issued after finalization of Vendor Space agreement. THE MONROE AVENUE FESTIVAL RESERVES THE RIGHT TO ASSIGN SPACES AND ALTER FESTIVAL LAYOUT AS DEEMED NECESSARY. ALL VENDORS MUST BE COVERED BY LIABILITY INSURANCE. 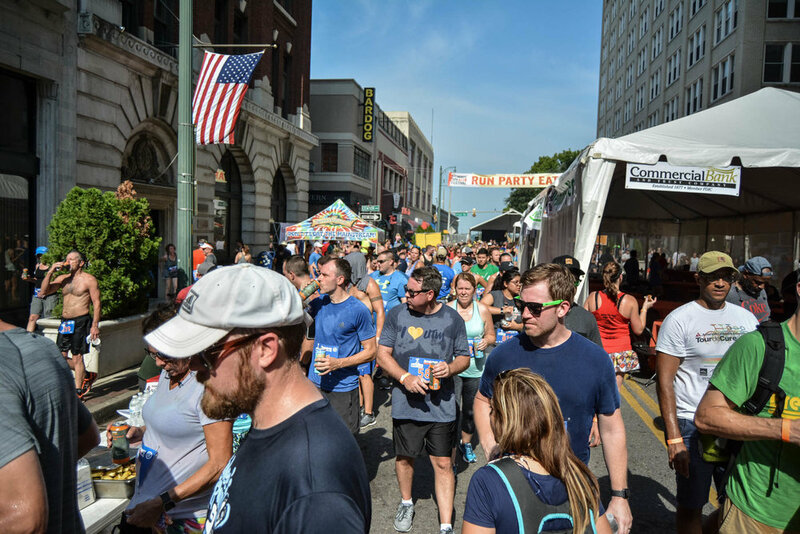 Vendors with liability insurance are required to submit a certificate of insurance showing at least $500,000 in liability coverage (naming Bardog Tavern, Breakaway Running, Monroe Avenue Festival, and the City of Memphis as additional insureds) with their vendor contract. $100 - 100V electrical hookup (limit one). Vendor must supply own lights and electrical cords. Minimum 12 gauge, 20-ft cord is required to reach power source. Halogen lamps not permitted. Service limited to 110V. All electrical requests and fees must be submitted to the MAF by 8/10/17. No changes to electrical needs will be made after 8/9/2018. Please list all appliances used and wattage requirements. Enter "None" if this does not apply to you. Are you a food and beverage vendor? Questions, comments, or special requests. I, THE UNDERSIGNED AUTHORIZED AGENT, DUTIFULLY SWEAR that I possess, have read all pages, understand, and agree to comply with the Vendor Agreement and all rules therein. I understand that the Vendor Space Fee is non-refundable once a site has been assigned. I agree that my Vendor Space will be set up, operated, and removed in a reasonable and safe manner, and that indemnify the City of Memphis, the Monroe Avenue Festival, Bardog Tavern, Breakaway Running, property owners and residents of the festival area, emergency services, personnel, and other Vendors safe and harmless against any claim or cause of action related to my participation in the Monroe Avenue Festival. Don’t forget to send in your payment! Be sure to include a copy of your application with your payment.